The Hope Foundation truly believes in “students helping students” and the Immersion Programme is a tribute to this belief. Led by teachers, volunteers and HOPE staff, Transition Year and 5th Year students are afforded the unique opportunity to travel to Kolkata for one week and to visit the projects. They will witness, first-hand, the work of HOPE and the extremities of life in Kolkata. Supported throughout their time in India, students are introduced to poverty, the realities of street children and the joy of HOPE. A week-long programme is prepared for students, who spend time visiting HOPE projects, interacting with children and adolescents who are in HOPE supported projects and immersing themselves in Indian culture. Our young Ambassadors will remember the experience for the rest of their lives, and become more aware of their place in society and how they can make the world a better place by caring for people who are less well off than themselves. Students must fund-raise a substantial, yet achievable sum, which will be donated to the projects. This process teaches the students about the value of such activities as well as learning the skills to creatively raise the funds to meet targets and deadline. It is a hugely positive and life-changing experience. It gives students the opportunity to engage in experiences not available in the classroom, encourages greater independence and enhances social and cultural development. 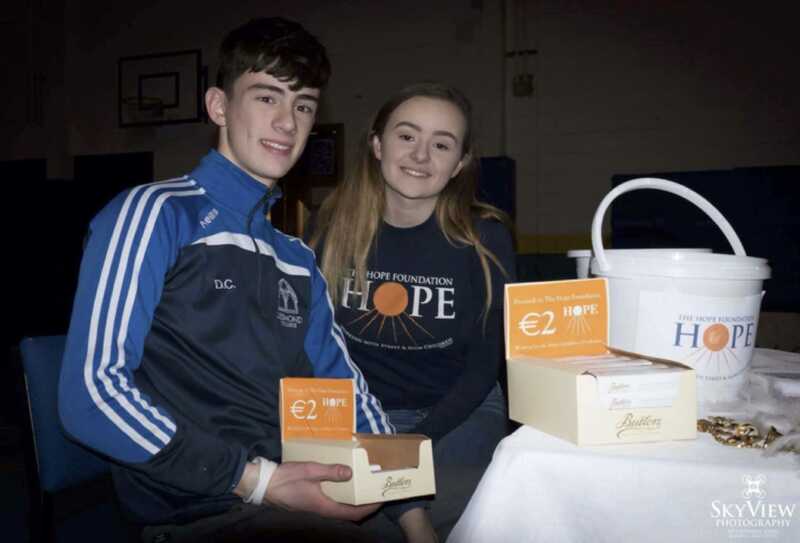 Darragh Collins and Alice Duffy fundraising for their up coming trip to Kolkata. (Missing from photo are Roz Barrett, Thomas Curtin and Hannah McMahon).